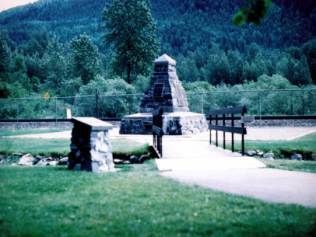 The last spike of Canada’s first transcontinental railway was driven here on November 7, 1885. 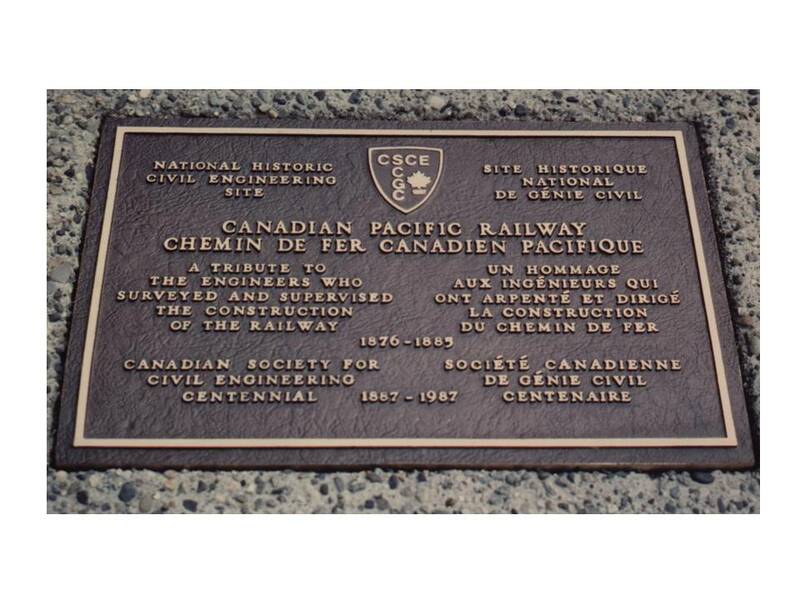 DESCRIPTION: The Canadian Pacific Railway was the Civil Engineering project that united the country from coast to coast. Confederation on July 1, 1867 brought four eastern provinces together to form a new country. As part of the deal, Nova Scotia and New Brunswick were promised a railway to link them with the two Central Canadian provinces of Quebec and Ontario. British Columbia joined the new confederation in 1871, with the promise that it would be linked to the east within 10 years by a transcontinental railway. HISTORICAL SIGNIFICANCE: Early construction was filled with controversy, the “Pacific Scandal” ousting John A. Macdonald’s Conservative Government in 1873. Some work went ahead in the east under the Liberal Government of Alexander Mackenzie, but when Macdonald was returned to power in 1878, the project was badly behind schedule and without firm financial backing. In October, 1880 a group of businessmen formed a syndicate to build the railway and a transcontinental railway. The Canadian Pacific Railway Company was incorporated February 16, 1881, with George Stephen as its first president. Progress in 1881, with only 221km (131 miles) of track built was too slow for the railway directors and the chief engineer, Sandford Fleming was dismissed. Notable railway entrepreneur and director James Jerome Hill suggested hiring William Cornelius Van Horne to become General Manager and to oversee the construction of the railway over the Prairies and through the mountains. Van Horne promised the construction of 800 km (500 miles) of main line railway in his first year. The start of the 1882 construction season was delayed by flooding, but by the year end, 673 km (418 miles) of main line and 177 km (110 miles) of branch line track had been completed. Across the Prairies construction problems abounded and overcoming logistical difficulties called for outstanding Civil Engineering skills and management. More was required in overcoming the problems of locating possible passes through the mountain ranges and constructing the track within acceptable grades in very challenging terrain. 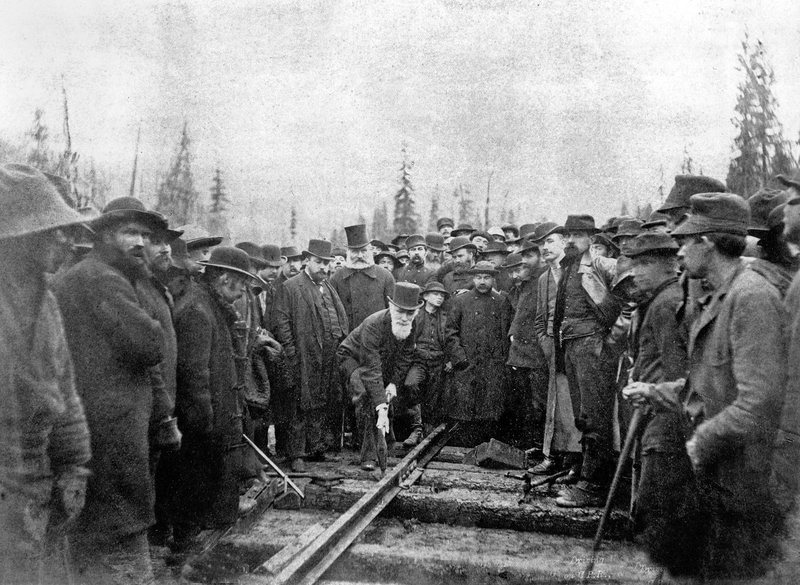 Finally, on Nov. 7, 1885, the eastern and western portions of the Canadian Pacific Railway met at Craigellachie, B.C., where the “Last Spike” was driven by Donald A. Smith.